"Dory" dollars: Sequels have struggled to stay afloat this summer, but Disney and Pixar should be making big boxoffice waves this weekend with "Finding Dory." 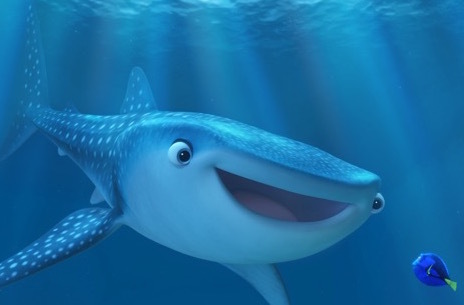 As the sequel to 2003's G rated 3D animated blockbuster "Finding Nemo," it's got the great advantage of brand name recognition, particularly with the moms-with-kids audience that family films depend on for success. Disney and Pixar's "Nemo" opened May 30, 2003 to $70.3 million and went on to do $339.7 million domestically. With reissues, its domestic cume has grown to $380.8 million. Internationally, it's grossed $555.9 million for a worldwide cume of $936.7 million. "Nemo" also made a big splash with Oscar voters. It won the 2003 Academy Award for best animated feature and also reeled in nominations for original screenplay, original score and sound editing. In 2008, the American Film Institute included "Nemo" in its list of the top 10 greatest animated films ever made. At the time of its release, "Nemo" was the highest grossing G rated movie of all time. "Nemo's" also very well liked on social media. Disney says the film has more than 19 million Likes on Facebook and that Dory, with over 25 million Likes, is the most liked individual character from a Disney or Disney/Pixar movie ever. "Nemo" arrived at a time when 3D animation was a big new marketing hook for catching moviegoers. Today, 3D ticket prices have escalated so much that many families feel priced out of the market or, at least, need to think twice before committing to the high cost of four or more admissions plus concession stand goodies. Nonetheless, the PG rated "Dory" is a safe bet to keep its head well above water when it opens Friday (6/17) at about 3,900 theatres. It's directed by "Nemo" director Andrew Stanton and co-directed by Angus MacLane, who was an animator on "Nemo." 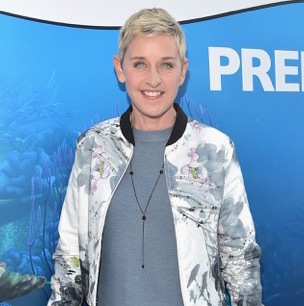 The family appeal comedy adventure's title character is voiced by Ellen DeGeneres. Dory's living happily in the reef with Nemo (Hayden Rolence) and Marlin (Albert Brooks) when she suddenly remembers she has a family out there who may be looking for her. That sparks a life-changing adventure for the trio, who cross the ocean to California’s Marine Life Institute, hoping to find Dory's mom (Diane Keaton) and dad (Eugene Levy). A good indication of "Dory's" boxoffice muscle is that almost everyone else decided to stay out of the swim this weekend. Only one other wide release is going fin-to-fin against "Dory" and it's targeted to a very different audience. Warner Bros., New Line Cinema and Universal's PG-13 rated comedy "Central Intelligence," opening at about 3,300 theatres, is from "We're the Millers" director Rawson Marshall Thurber. Dwayne Johnson plays Bob, a one-time geek who's now a lethal CIA agent returning for his high school reunion. Bob enlists help on a top-secret case from Calvin (Kevin Hart), a former "big man on campus" who's now a quiet accountant missing his glory days. Before Calvin realizes what he's getting into, Bob's put him in a world of shoot-outs, double-crosses and espionage that could get them both killed. Since "Central" should play best to younger males, it won't take away from "Dory's" core audience of families. There won't, however, be another free lunch for "Dory" in its second weekend (6/24-26) in theatres. Two new wide releases will be competing with it then for moviegoers' time and money. 20th Century Fox's PG-13 rated 3D sci-fi action adventure "Independence Day: Resurgence" is from "Independence Day" director Rolland Emmerich. It stars Liam Hemsworth, Jeff Goldblum and Bill Pullman and should play best to male moviegoers. The original "Day" opened Wed., July 3, 1996 to $50.2 million for the three day weekend and a five day cume of $96.1 million. It did $306.2 million domestically. In the new episode, the nations of Earth, using recovered alien technology, have built an enormous defense program. But nothing can prepare Earth for the aliens' advanced and unprecedented force. Only human ingenuity can bring our world back from the brink of extinction. STX Entertainment's biographical action drama "Free State of Jones" is directed by Gary Ross ("The Hunger Games"). It stars Matthew McConaughey, Keri Russell and Gugu Mbatha-Raw and should play best to adult men. Set during the Civil War, it's the story of a defiant Southern farmer, Newt Knight (McConaughey), who leads an armed rebellion against the Confederacy. Banding together with other small farmers and local slaves, Knight launches an uprising through which Jones County, Mississippi secedes from the Confederacy, creating a Free State of Jones. Knight continues his struggle into the Reconstruction period, making him a compelling and controversial figure of defiance long after the War ends. Also arriving in "Dory's" second week of release is the 15th anniversary reissue of the PG-13 rated action crime thriller "The Fast and the Furious" from Universal Pictures and Original Film at about 1,500 theatres. It should play best to the franchise's male fans, including younger males who've seen the original episode at home on cable, DVD or streaming, but weren't old enough to see it on the big screen when it opened in 2001. Directed by Rob Cohen ("The Mummy: Tomb of the Dragon Emperor"), it stars Vin Diesel, the late Paul Walker and Michelle Rodriguez. "Fast" launched a seven title franchise that went on to gross $1.3 billion domestically. The franchise's next episode, "Fast 8," is scheduled to open Apr. 14, 2017. Directed by F. Gary Gray ("Straight Outta Compton"), it stars Dwayne Johnson, Charlize Theron and Kristofer Hivju. The good news for "Dory" is that "ID2," "Jones" and "Fast" aren't targeted to family audiences. It also helps that the next PG rated 3D animated family comedy, Universal Pictures and Illumination Entertainment's "The Secret Life of Pets," won't hit multiplexes until July 8. "Pets" is directed by Chris Renaud ("Despicable Me," "Despicable Me 2") and first time feature director Yarrow Cheney, who was the production designer for both "Despicable Me" and "Despicable Me 2." Universal calls Renaud and Cheney, "The humans behind "Despicable Me." Louis C.K., Eric Stonestreet and Kevin Hart make their animated feature-film debuts in "Pets," which reveals the lives our pets lead after we head to work or school each day. "Dory had wandered the ocean most of her life. Because of her short-term memory loss, she couldn't remember anybody she'd met, but she had emotional memories -- she always remembered how it felt. And she was repeatedly left with a compounding feeling of separation and loss. "Her optimism and helpful nature are a defense. It is an unconscious armor she presents in hopes others won't tire of her challenge and ditch her. When we first meet her in 'Finding Nemo,' one of the very first things she says is 'I'm sorry.' She just assumes that somehow her short-term memory loss has caused a problem and she's quick to try to mend it. That, for me, is really juicy stuff. That’s somebody that deserves to feel better about themselves; that's a main character with a story to tell." 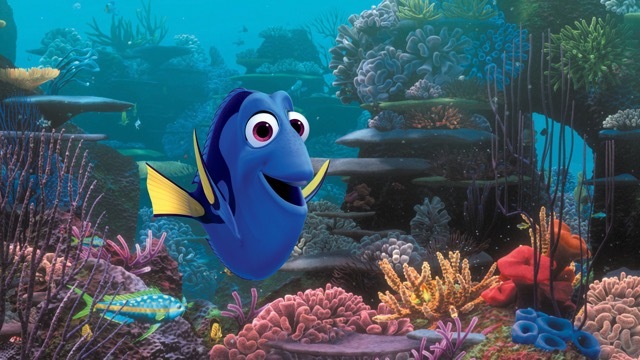 Stanton points out that Dory was initially written as being lighthearted, bubbly and funny. While those attributes certainly did apply to her character, they also left her lacking depth. "She seemed a little two-dimensional," he says. "I realized that even though I had her full backstory in my head, nobody else did -- including the audience. Everyone walked away from 'Nemo' with fond memories of how funny she is. But I always saw that as a mask. I realized we'd have to fill in the audience about what happened to her when she was young." The sequel reveals that Dory has loving parents who are patiently helping their daughter manage her short-term memory loss. "They don’t try to change her," Stanton notes. "They just want to help her own who she is. Being a parent and seeing my kids grow up and enter the world, I realize that kids are all born with certain temperaments, flaws, quirks -- and it'll always be who they are. You probably spend most of your time as a parent worrying about those things, too -- you don't lose sleep over the things they do well. The best quality I could give Dory's parents is that they never doubt her." Nonetheless, Dory gets lost. "She wanders the ocean for most of her life," he says. "And slowly forgets why." But when a massive stingray migration cruises through Dory's neighborhood, that triggers her memory: "The experience is viscerally similar to an event that separated her from her parents so long ago. She's flooded with memories and suddenly very motivated to track down her family." Bottom line: Moviegoers finding "Dory" should help energize the sluggish early summer boxoffice. Last weekend was down about 44 percent from last year, per comScore, despite a better than expected $40.4 million first place launch for the R rated supernatural thriller "The Conjuring 2" from Warner Bros., New Line Cinema and RatPac-Dune Entertainment. Its audience was 52 percent female and 57 percent under 25, comScore reported, which is the demographic horror films typically attract. The weekend's big drop was expected since "Jurassic World" arrived this time last year to $208.8 million and went on to do $652.3 million domestically. That kind of sequel ultra strength is what's been missing this summer. The year to date is up about 4.1 percent versus last year, according to comScore. But a tidal wave of "Dory" ticket sales should help boost that number as Hollywood sails into mid-summer.